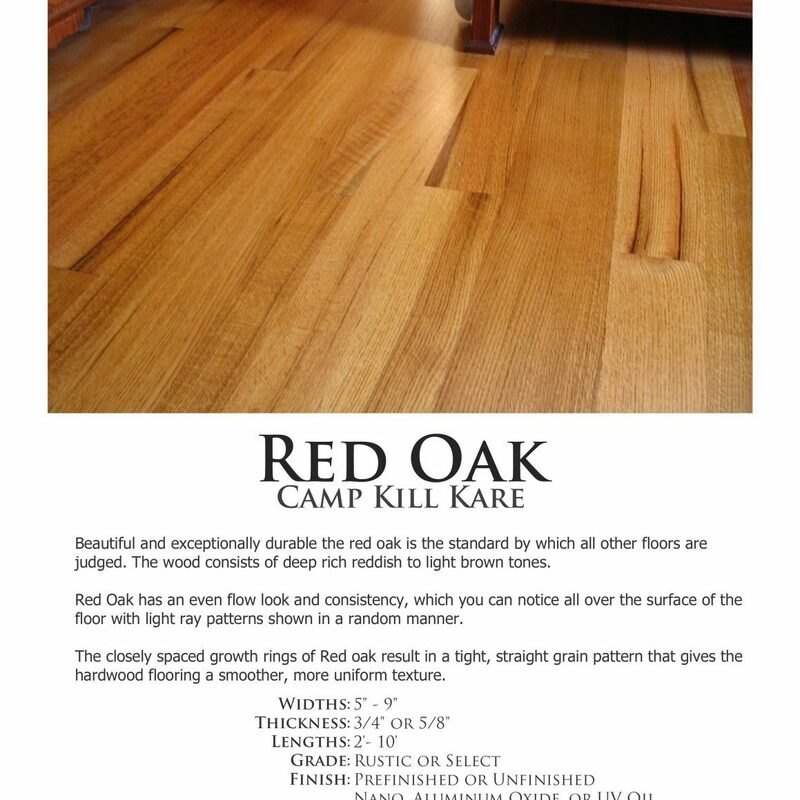 Camp Kill Kare - Red Oak | Adirondack Wood Floor Co.
Red Oak has been an American Classic since the Pioneer Days! 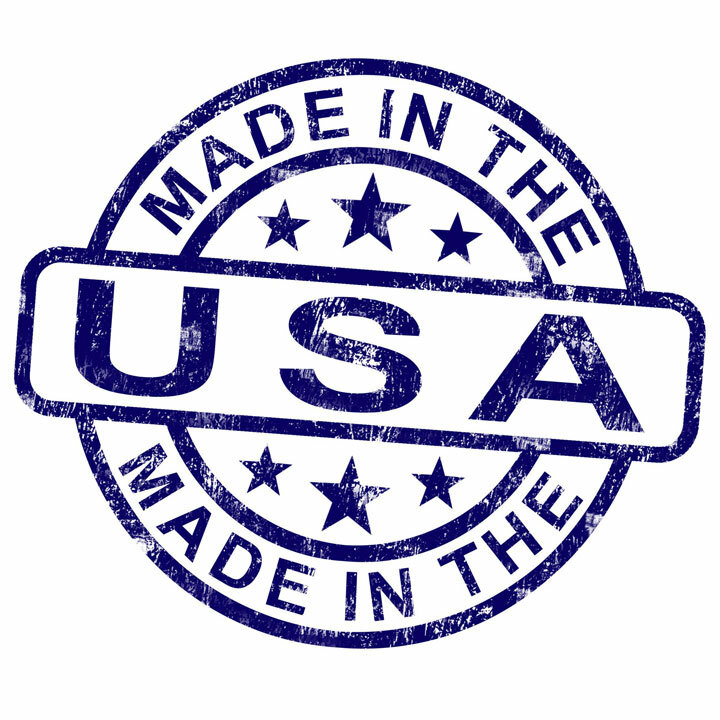 Beautiful and exceptionally durable the red oak is the standard by which all other floors are judged. The wood consists of deep rich reddish to light brown tones. Red Oak has an even flow look and consistency, which you can notice all over the surface of the floor with light ray patterns shown in a random manner. Red Oak grows to a typical height of almost 100 feet, and on rare occasions, the red oak can live to be 500 years old! More commonly, they tend to stay healthy for about 150 years. 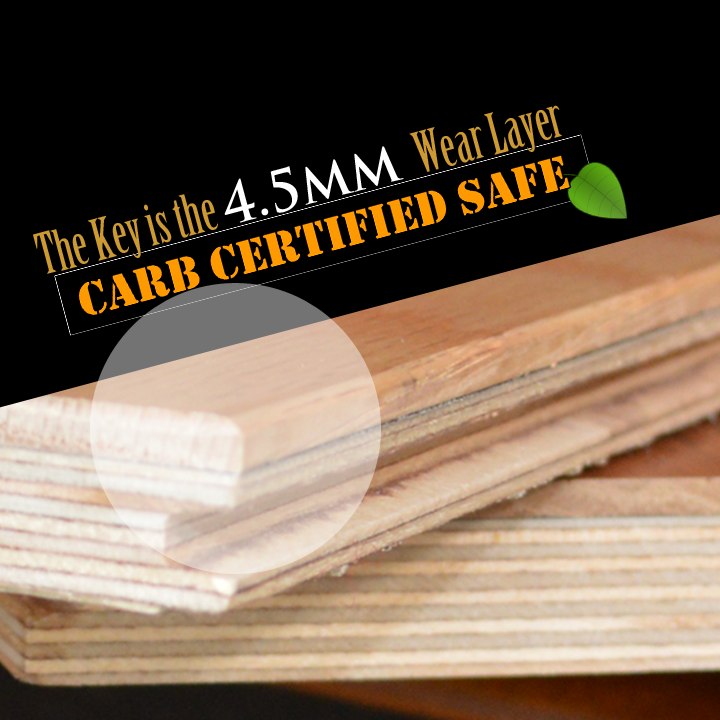 The closely spaced growth rings of Red oak result in a tight, straight grain pattern that gives the hardwood flooring a smoother, more uniform texture. The bark from oak trees is rich in tannin. The tannic acid in the bark was used for tanning animal hides for centuries. When the tannic acid mixes with the iron in our water it creates a chemical blue dye. Native Americans ground the acorns of the red oak with other types of acorns to make flour used for food.